Astronauts and aquanauts are two career paths which on the surface go in opposite directions. Which one would you choose? The number one answer I hear from MG girls is Marine Biologist. For boys it’s often an astronaut but only if their first wish isn’t realized: to be a pro basketball player. This new title from the creative minds at National Geographic Kids (author Jennifer Swanson in this case), explores how these two exciting endeavors are more alike than similar. Beginning with Exploring New Environments you’ll learn how gravity, pressure, and darkness effect both types of explorers. Next comes a look at the training involved to become one of these brave individuals. Hear from astronauts as to what it’s like to blastoff into space and from aquanauts how it feels to take the plunge deep into the depths of our oceans. Then you get an insiders view of the experience living in these environments, including the work done to survive. A fascinating page is devoted to a typical day in space and sea. I’m not sure I’d be up for the task in either of the temporary homes. Bringing the journey to a satisfying ending (or hopefully a beginning for young readers) are chapters on why we explore and what we have learned so far. I especially enjoyed the biographies of ten real life astronauts and aquanauts. 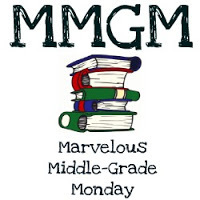 Middle grade kids just might follow one of their paths to greatness. Amazing pictures also accompany the text. Inspiring and thought provoking, this title should be a library favorite for many years to come. This entry was posted in non fiction, Reviews and tagged Astronaut Aquanaut, Jennifer Swanson, Middle Grade Non-Fiction, National Geographic Kids. Bookmark the permalink. You are lucky to be on NatGeo’s mailing list. They have such beautiful books and this looks like no exception. Thanks for the post. I love the book for young people. It is exceptional! Many teens would be enthralled with the idea of both places. But, I’m with you as I wouldn’t handle either temporary home very well. Not in my DNA, I guess. I like exploring, but with my feet on the ground.